After our final dog event of the year I like to do a recap of the past year and reflect on our accomplishments both big and small. 2014 was an exciting year for Solstice; we had a lot of fun this year. 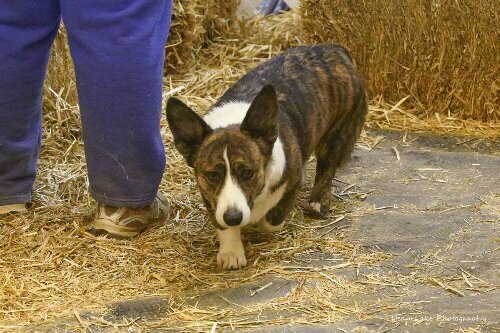 In February we were introduced to sport of Barn Hunting and were quickly hooked. The dogs have a blast in this sport. 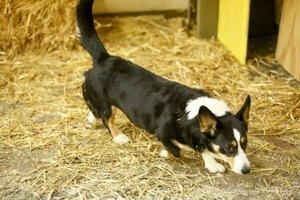 At our first trial both Bailey and Sienna earned their RATI titles and their first legs on their Novice Barnhunt title. March brought Novice Barnhunt titles to both girls. Sienna made history as the first Brussels Griffon to ever earn a Barnhunt title. In May, Lindy joined the Barnhunting crew and earned her RATI and did some great hunts but failed to make time because she doesn’t like to climb straw bale so she has a goal for next year. 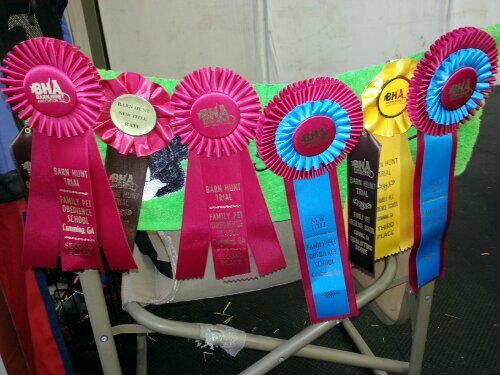 The summer was busy but not a lot of competition, some training, a few shows gathering Grand Champion points for both Bailey and PJ. Once the fall hit it was on like donkey kong! 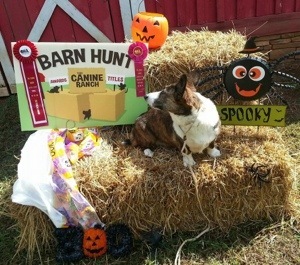 In October Bailey finished her Grand Championship and became the 2nd Cardigan to earn an Open Barnhunt title. PJ and I joined the Keel Mtn crew for a trip to Purina Farms and the UKC Gateway Nationals where PJ earned his UKC Championship. PJ then finished off the year by earning his last few single points for his Grand Championship the 1st weekend in November (aka last Saturday). Not a bad year for our little kennel. Now it is time to start planning for next year. Some of our goals are for Lindy to learn to climb the bales and get her RATN. Sienna needs to move into Barnhunt Open and Bailey will move into Senior level. PJ and Bailey are basically retired from the conformation ring (except for Nationals and special events). 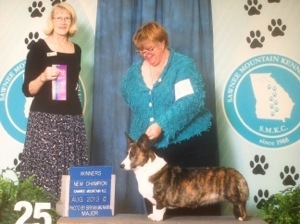 That means Frost will be my “show” dog next year for the NOHS as well as she is beginning her obedience career. I’m sure we will keep very busy. I have made the conscience decision to not breed my girls. As much as I would love puppies, my lifestyle right now is not one will allow me to raise puppies in the manner I believe they need to be raised. This also means as a breeder, I’m going to have to start over since my girls are 6, 5 and 4 and they are getting to an age where I do not want to breed them so I would have to breed someone in the spring. Makes me sad but it is also to look forward to something in the future. 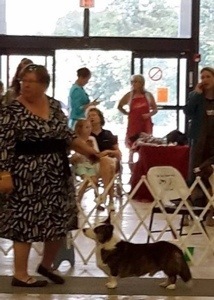 And while we are celebrating I want to congratulate PJ, Lindy, and Frost’s kids on their successful year, Obedience, Agility, Herding and all around good dogs, they make me proud! All in all a very fun, exciting and successful dog year. Looking forward to new adventures in 2015.